Capracotta, which literally means "cooked goat", is located in what used to be the province of Isernia, about 45 km from Campobasso and 25 km from the city of Isernia. Legend has it that some gypsies, having decided to found a town of their own, offered as sacrifice to their divinity to burn a goat as a good omen. The poor animal managed to escape from the pyre and took refuge in the mountains, where it died. And in that same spot where it was found the new town was born. 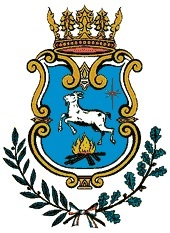 The coat of arms, representing precisely a goat who runs away from a pyre, also suggests the "test of fire" used by the Lombards, who, some say, are the real founders of Caparacotta. In fact, "sacrificing goats" was a custom of the Lombards, or better said, kill them, roast them and eat them, leaving the horned head to consecrate it to the devil during their orgiastic feasts. Other sources suggest that the name derives from the Latin "castra cocta", a military camp protected by a "agger coctus", a wall made ​​of bricks. It can not be ruled out that a Roman detachment was stationed in these hills considering the strategic location overlooking the valley of the Sangro. The most credible one is that the name derives from the Indo-European "cap" high place and "Kott" rocky place, two obvious features that distinguish the landscape of Capracotta. What to do and places to see. 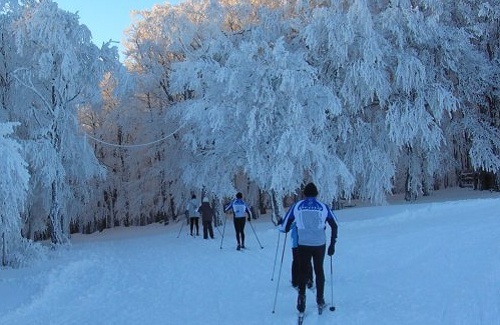 Because of its elevation high on the Apennines, Capracotta also experiences abundant snowfalls. 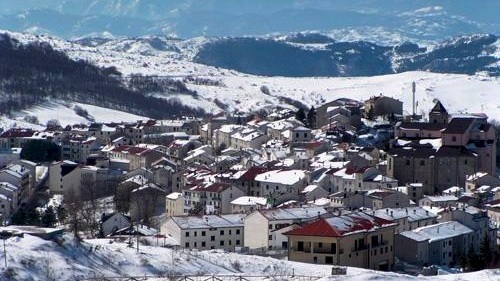 The highlight remains its magnificent landscape that acts as a contour, with beech forests and high-altitude meadows, among them, a place to visit is Prato Gentile, a destination for winter sport fans who can enjoy the more than 40 km of ski runs. In Summer it is possible take walks within the pristine forests and visit the "Garden of the Apennine Flora" just 2 km from the town towards Prato Gentile. 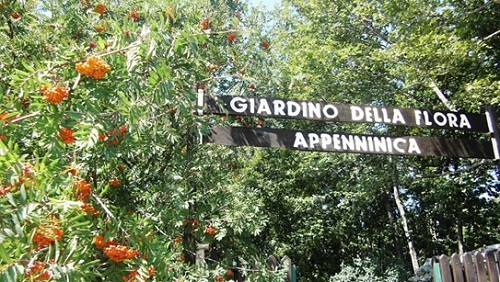 The Garden, established in 1963, is located at 1525 m above sea level, and is amongst the highest in Italy. In this natural botanical garden are preserved and protected plant species of native flora of the central-southern habitats that are evidence of different lithology and soil which make up the area. Events : The vivid link between Capracotta and its pastoral tradition lives on in the "Pezzata" festival, which takes place on the first Sunday of August attracting many visitors from neighboring regions and beyond. You can enjoy pieces of boiled lamb and goat and other grilled dishes of lamb offal, as was customary in ancient times among the shepherds, who were feeding off their animals when they were away from home. This typical local dish is distinguished by its simplicity and easy availability of the ingredients necessary to enhance the flavor and keep the taste according to the ancient recipe of our pastors. Another event is the procession of the horses of Our Lady of Loreto, which is held every three years, days 7,8 and 9 September, attended by many emigrants.